We Were Here is a series of games that forces players in co-op with walkie-talkies to work together in separate locations, each describing something to the other to help them progress. 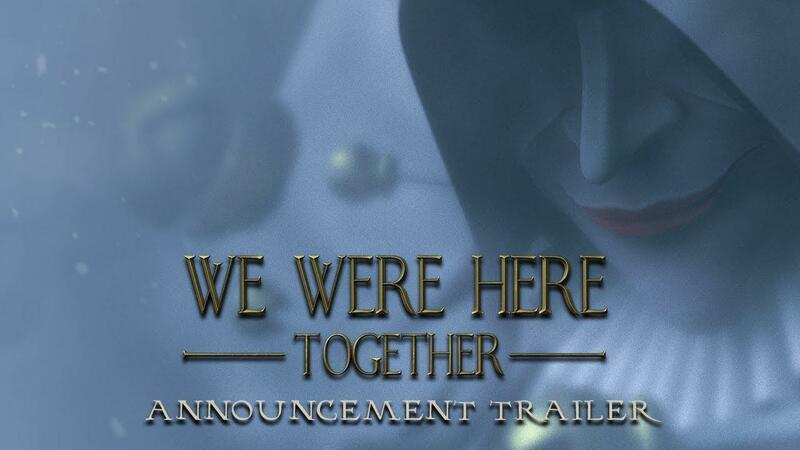 The third game, We Were Here Together [Steam] has been announced. The game continues the communication-centered adventure in which you and a partner must solve puzzles on an urgent mission to save the expedition... and yourself! This time, expect even more puzzles and discover the story behind the Antarctic expedition. Starting out at the research base camp, you’ll need to figure out a way to get to Castle Rock together. Once you’re through the frozen Antarctic wastes, you'll find yourselves separated inside the castle itself, facing puzzles, secrets, and dangers! You and your partner have nothing but your wits and a walkie-talkie each. Observation, smart communication and teamwork will be the only way to escape from the sinister Castle Rock. Looks like they will be continuing Linux support, with SteamOS + Linux system requirements up already on Steam. You can see my thoughts on the previous game here. It was a very unique experience, one I still remember very clearly to this day as myself and Samsai attempted to communicate through in-game walkie-talkies. Quite funny thinking back on it, how rubbish we were together. If you want to see how we did, here's a video of us trying it together. And no, we still don't talk about the time I got scared and fell into lava. Looking forward to this, perhaps we can pull Samsai in for another co-op livestream event when it releases. Anyway, We Were Here Together the third game is planned to release next year. Did the first one ever get fixed on Linux? They do look like a lot of fun. no_information_here Did the first one ever get fixed on Linux? They do look like a lot of fun. I know the game is free which is of course nice - but I don't understand why people would make an entire game, but then not bother to make the very small adjustments needed to get it running properly? It also doesn't work in VR (it's buggy in Windows, and from what I can tell not implemented at all in Linux). Thanks for the tip. I might see if I can get it working. I can understand the lack of support if they are a small dev team. Maybe we can gently encourage them in the steam forum if we can track down the current issues.